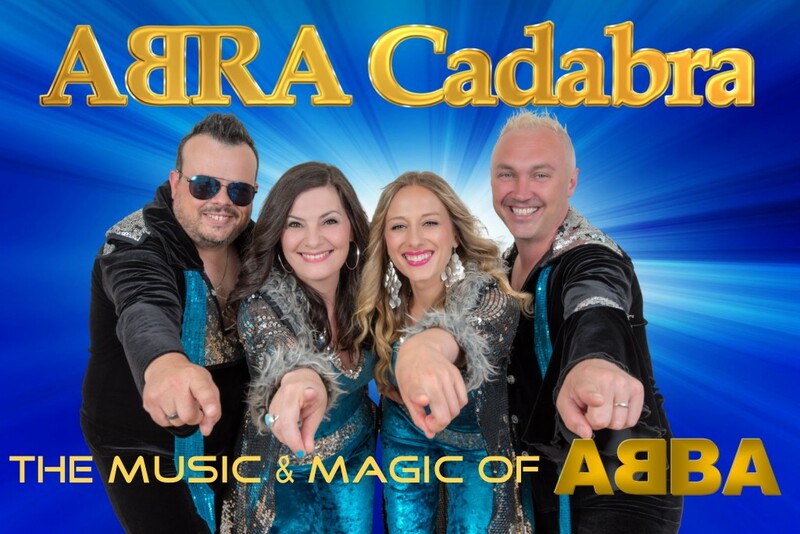 ‘ABRA Cadabra’ (FKA ‘ABBA Cadabra’) from Vancouver, Canada has been touring the world for over 18 years helping audiences of all ages & cultures re-live and celebrate the timeless and uplifting music of ABBA! This high-energy and captivating stage show takes you on a nostalgic journey through all of your favourite ABBA hits including Mamma Mia, Dancing Queen, Take A Chance On Me, Waterloo, Does Your Mother Know, Gimme Gimme Gimme, Fernando, SOS, Super Trooper and many more! As fans of the music themselves, ABRA Cadabra prefers to not impersonate the original members of ABBA but instead recreate the amazing music and legacy of the Swedish Super Group with powerful vocals, musicians, dancers, costumes, audience interaction and lots of stories about ABBA. The cast has had the honour of traveling to many corners of the world performing shows for the Prime Minister of Malaysia, the Malaysian Royal Family, the Buddhist Society, Tatler Magazine, International Shoe Designer Jimmy Choo, a live televised concert for 20,000 people at the Penang Fair in Malaysia, The Esplanade Theatre in Singapore, The Genting Highlands Casino in Malaysia, an opening spot for Kool & The Gang at Universal Studios in Orlando Florida, The Auditorio Luiz Elisondo and Woodstock Plaza in Monterrey, Mexico, The Star Pass Resort in Tucson AZ and the Point Park Concert Series in Parkersburg, West Virginia. Within BC they have performed at the Queen Elizabeth Theatre (opening for Boney M), The Hard Rock Casino Show Theatre, The River Rock Show Theatre, The Pacific National Exhibition, The Commodore Ballroom, The Vogue, The Harmony Arts Festival, The Kelowna Community Theatre, The Massey Theatre in New West, The Vernon Performing Arts Centre, The Port Theatre in Nanaimo, The Chilliwack Cultural Centre, The Mary Winspear Centre in Sidney and many other festivals, Casinos, Theatres and Corporate events throughout BC. River Rock Show Theatre - Richmond B.C.